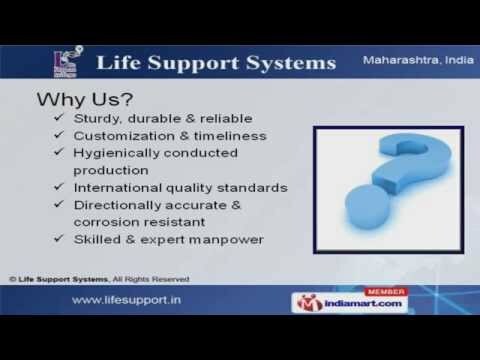 Welcome to Life Support Systems Manufacturer & Supplier of Hospital & Medical Equipments. The Company was incorporated in 1998, at Kalyan. Stringent quality review & wellmaintained distribution network make us unique in the industry. Customization, International quality standards & corrosion resistant are the factors thathelp us to stay ahead of our competitors. We offer a vast range of E.N.T., Suctions, Surgical Pacemaker & Instruments. O.T. Tables & Lights offered by us are in huge demand across the global markets. Our E.N.T. & Suctions are best in the industry amongst others. We also provide Surgical Pacemakers & Instruments that are a class apart. Our Neuro Surgical Microscopes are available at industry leading prices. Along with that we offer Anesthesia Machines & Electrosurgical Units that are superiorin performance.